Discover your exploratory skills! 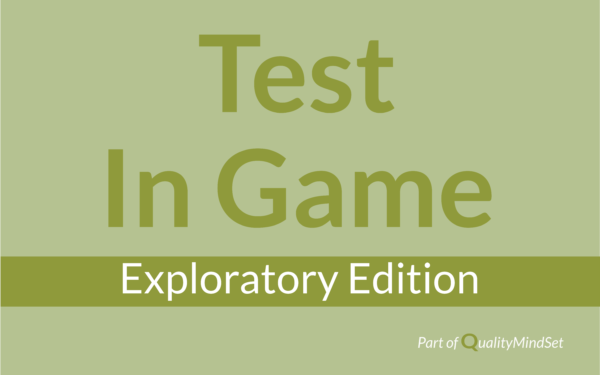 Test In Game – Exploratory Edition is a game/exercise that anyone can play. It’s a creative and inspirational way to enhance participants in solving problems using test techniques and exploration skills.This bag is usually suitable for up to 3 participants and one facilitator. 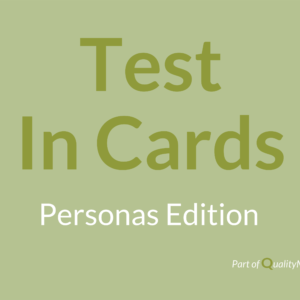 Included is over 100 test objects, a card deck with exercises and instructions. Everything is packaged in an easy to carry bag. 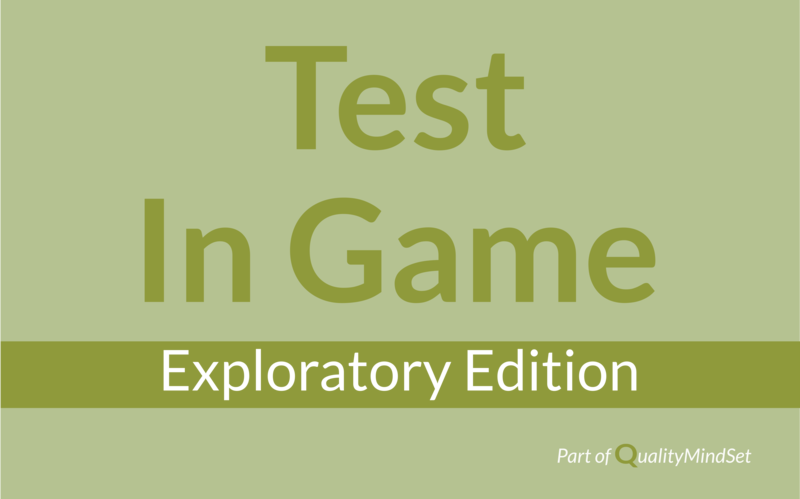 Test In Game – Exploratory Edition is a game/exercise that anyone can participate in. It’s a creative and inspirational way to train participants in testing, test techniques and solving problems. 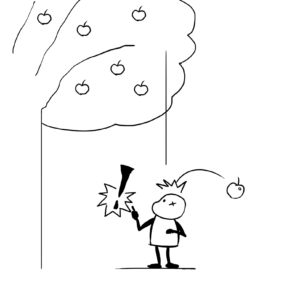 Participants must try to find the logical pattern of an unknown system (represented by a facilitator) by using dice and plusplus objects as test input or test data. They then need to explore the system and eventually find the pattern. By utilizing test design, test techniques, testing and test reporting they will have a great opportunity to train in the full repertoire of a tester. 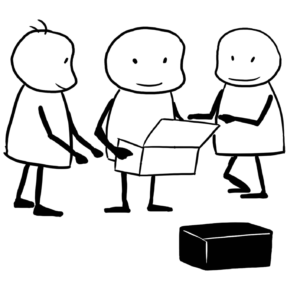 The game is well suited for professional testers who need a tool to train/coach other people in the organization. 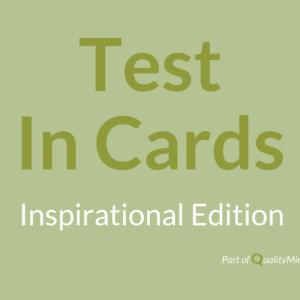 It can be used in workshops and courses to train in testing. 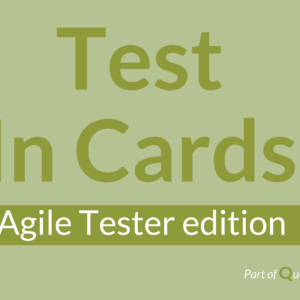 It is a perfect tool to show what testing and exploration is all about. One game is suitable for up to 3 participants plus a facilitator, who usually can facilitate several groups at once. 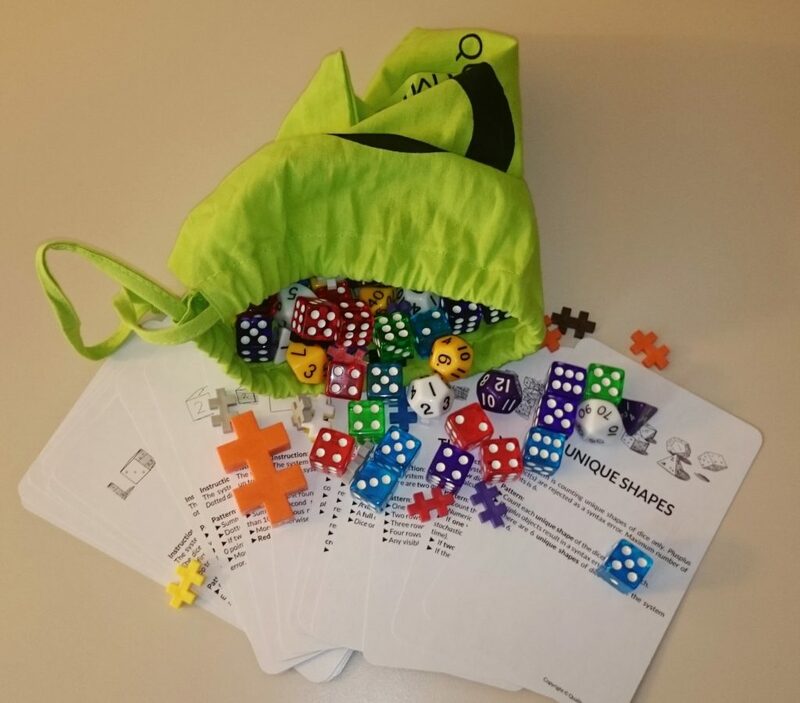 The game includes over 100 objects (dice and plusplus) of different colors and shapes together with a deck of cards with instructions, exercises in different difficulty levels and information about exploratory testing. The instruction cards contain a QR-code that directs you to our digital knowledge library with further information. The game is packaged in a small bag that is easy to carry and transport.